​"What passing-bells for these who die as cattle?". 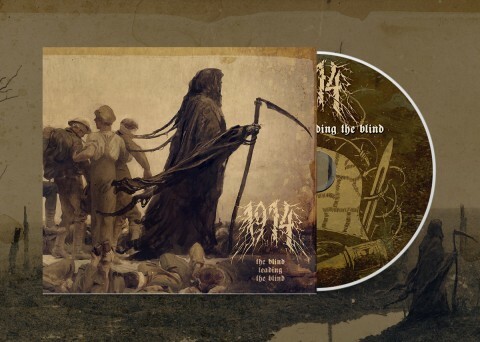 Review of 1914’s album "The Blind Leading the Blind"
Whenever a band comes along focused on some particular gimmick, like the focusing on historical periods, whether that be Vikings (Hammer Horde) or pirates (Alestorm) for example, I can’t help but feel an aversion to the band immediately, this not to say that I don’t think there are interesting themes to be explored within these subjects (Enslaved are of note here), it feels gimmicky to focus your band’s existence on that subject, so it was with some trepidation that I began my journey into 1914, a band inspired by the First World War, their aim being to evoke the horrors of said conflict. 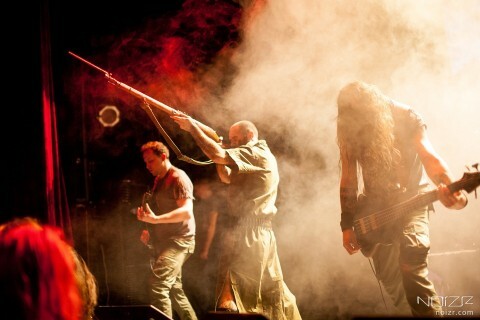 Musically the band sits somewhere between death, doom, and black metal and regrettably don’t really excel at any genre, the music is rather pedestrian and all too familiar. There’s nothing particularly new here except for maybe the insertion of samples. The songs don’t really convey much gravitas in them, there is no emotion on here that I haven’t heard evoked on Marduk "Panzer Division Marduk" or "Frontschwein", as chaotic as the World War I may have been, I imagine a soundtrack to it to be far more melancholy and anguished. 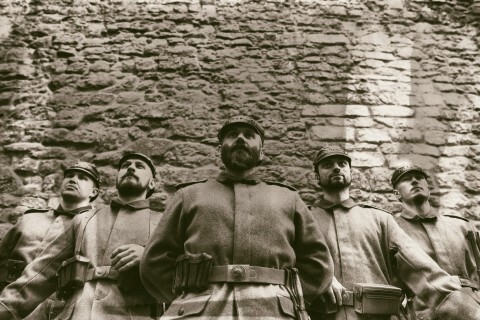 For the most part the songs on "The Blind Leading the Blind" just opt for all-out battery (save for "Passchenhell" — the violin piece evokes more emotion than the rest of the album and "The Hundred Days Offensive"), from everything that I’ve seen of the First World War it was a much more taut affair — imagine being stuck in a trench for weeks, if not months on end, feet rotting from trench foot, knowing your enemies are not that far away from you, hearing their voices and knowing you either have to dig closer to them or push over the top, ultimately ending in someone’s annihilation, with no end to this routine in sight; the soundtrack in my mind is not all out aggression, it’s a tense and dissonant atmospheric journey interspersed with moments of frenzied release. Maybe that’s just me but the music doesn’t conjure up images of a soldiers terror or the commands of an officer, it most closely resembles a machine gun firing non-stop and I don’t believe that’s what the band are going for based around how the samples are framed. In all honesty, I think Anaal Nathrakh’s "Forward!" 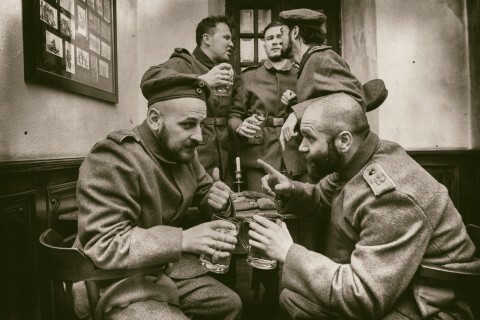 does a better job of evoking the frantic and hopeless feeling of World War I.
Lyrically (from what I can discern) there is little in the way of evocative imagery to hammer home the haunting pictures of this conflict, so many of the lyrics appear to be readings of equipment lists, cataloguing weapons and ammunition, and perhaps that’s the goal of the band, to act as weapons of war and be their musical embodiment. If that’s the case then they’ve achieved their goal because the music sounds like most weapons at the end of the battle; identical to so many others, low on killing blows and plenty of wasted pieces. Even if we take away all of the window dressing and just approach the band on its strictly musical merits, there is nothing new or impressive here, there are no riffs that stick in the mind, the dynamics of the songs all follow very similar patterns. The only passages that stuck with me were the violin samples, a couple of the (often awkwardly placed) quotes and "The Hundred Days Offensive", which is the only full song that comes closest to what I hoped for. So what’s left if the music doesn’t conjure up the required subject matter? I can’t really think of anything else but a gimmick, I guess 1914 like the image, it makes for a cool live show visually and on the surface sounds like a convincing idea. In reality, it’s big on ideas and low on content, undoubtedly there are better ways to mine the horrors of this war effectively, it remains to be seen though whether it’ll be 1914 can do that on their next album, or if someone else will fulfill the concept. 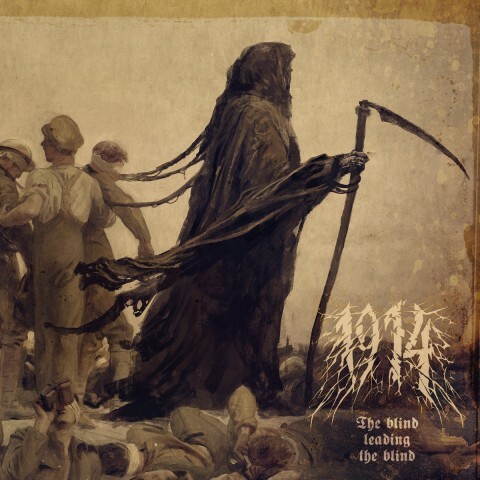 1914’s album "The Blind Leading the Blind" to be out on 11 November 2018. Pre-order it via Redefining Darkness Records (N & S.America) and Archaic Sound (Europe).